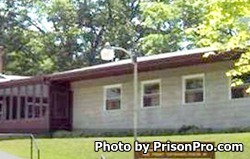 Chain O'Lakes Correctional Facility is located in Albion Indiana part of Noble County. It is a minimum security institution that can house 154 adult male offenders. Selected inmates are allowed to work on crews that help maintain Pokagon State Park and Chain O' Lakes State Park. Inmates can also be selected to work in supervised positions with the Indiana department of transportation and special projects that may arise, like aiding in flood prevention. Inmates are housed in an open dormitory setting, and have access to substance abuse treatment, anger management counseling, and many programs aimed at fatherhood. Before visiting, you should always contact the facility to ensure visiting times have not changed or been canceled due to a lockdown. The visiting hours are divided by dorm. North Dorm has visitation on Fridays from 6:45pm-8:45pm, and Sundays from 8:30am-10:30am. South Dorm has visitation on 12:45pm-2:45pm, and Mondays from 6:45pm-8:45pm. East Dorm has visitation on Saturdays from 8:30am-10:30am and on Sundays from 12:45pm-2:45pm.